Honest John Vans ULEZ van checker - Will you have to pay the low emissions charge? ULEZ van checker - Will you have to pay the low emissions charge? The Honest John ULEZ (Ultra Low Emission Zone) vehicle checker is a tool to check if your vehicle meets the ULEZ standards. Any that meets the ULEZ standard will be able to travel in the zone without paying the ULEZ charge. For diesel vans the Euro 6 standard was introduced on new vans sold from September 2016. What is the Ultra Low Emissions Zone? The Ultra Low Emission Zone is the first major clean air initiative to be launched in the UK. Since 8 April, drivers of the oldest and most-polluting vans have to pay an extra £12.50 (on top of the Congestion Charge) to enter central London. Poor air quality is a big problem in London, with air pollution linked to 10,000 premature deaths in the capital every year. To combat this Transport for London (TfL) has created ultra clean air zones, to reduce harmful vehicle emissions and make life better for people living with heart, lung and breathing problems. The ULEZ operates 24 hours a day (midnight to midnight), seven days a week, 365 days a year, within the same area as the Congestion Charging Zone. In October 2021 it’ll be expanded up to the North and South Circular. Use our ULEZ checker to find out if your van or pick-up is subject to ULEZ charges. Simply enter your vehicle registration (number plate) into the Honest John ULEZ checker to see if you will have to pay to enter the London Ultra Low Emission Zone. 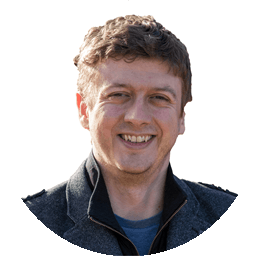 Is your vehicle subject to the ULEZ? Please note: Vehicle data for the ULEZ checker is sourced from Transport for London (TfL) and ULEZ standards are based on the declared emissions of the vehicle and not the age. What does the ULEZ cover? The ULEZ operates 24 hours a day within the same area as the Congestion Charging Zone. In 2021 it’ll be expanded up to the North and South Circular. The Ultra Low Emissions Zone standards are based on the declared emissions of the vehicle and not the age. This means some older vans and pick-ups, with exceptionally low emissions for particulate matter (PM) and nitrogen oxides (NOx), will be exempt from ULEZ charging. Most diesel vans that are older than four years (that do not meet Euro6 emission limits) will have to pay the ULEZ fee. The majority of petrols older than 13 years will also be charged. Vehicle owners should be able to see the declared Euro emission rating on the V5C (logbook) in section D2. How do I pay the fee, and what happens if I forget? You can pay the £12.50 fee online, over the phone or via the TfL smartphone app. Drivers can also register for an auto pay service, but this has a £10 admin fee. If the van doesn’t meet the ULEZ standards, and the daily charge is not paid, a penalty charge of £160 will be issued to the registered keeper of the van. This will be reduced to £80 if paid within 14 days. The Congestion Charge remains separate and is in force in central London from 7am to 6pm, Monday to Friday. The Congestion Zone will not change when the ULEZ expands to the North and South Circular in 2021. How will Transport for London know if I’ve paid or not? Like the Congestion Charge, the ULEZ will be monitored with ANPR (automatic numberplate recognition) cameras. Each time you enter and leave the zone, it will be logged. Drivers who live within the boundaries of the ULEZ will be exempt from the fee, but only for a limited period of time. Residents who claim the residents' Congestion Charge discount get a ‘sunset period’ to change their vehicle until October 2021. At the end of this timeframe residents will be liable for the full daily charge each time they use their vehicle on the public road within the North and South Circular. Blue Badge holders will be charged from 8 April 2019 unless their vehicle meets the new ULEZ emission standards or is registered with the DVLA as a 'disabled' or 'disabled passenger vehicle'. Disabled tax class vehicles and specially adapted private hire vehicles in the expanded ULEZ have until October 2025 to replace their vehicles. Similarly, charities have been given until October 2023. How do the ULEZ rules affect Taxis? Since January 2018, all taxis presented for licensing for the first time in London need to be zero emission capable and emit no more than 50g/km CO2, with a minimum 30 mile zero emission range. This means new diesels no longer qualify for a licence. Transport for London and the Government have a grant in place to help taxi drivers buy a new, cleaner vehicle. The grant will pay 20 per cent towards the purchase price, up to a maximum of £7500. The grant is deducted from the price of the vehicle at the point of sale by the dealership. The ULEZ scrappage scheme allows small businesses to apply for a grant to scrap up to three vans and switch to a newer, cleaner vehicles. Charities can also claim the grant when they scrap up to three minibuses. To qualify: The vehicle must be a pre-Euro6 small van or charity-owned minibus that does not meet the ULEZ rules. It must also have been driven within the Congestion Charge Zone a minimum of 52 times over the past six months - TfL will confirm this by checking the vehicles payment history within the Congestion Zone. To qualify: The small van or charity-owned minibus must not meet ULEZ standards and be replaced with a Euro6 van/minibus. To qualify: Scrapped vehicle must not meet ULEZ standards and be replaced with an electric van or minibus. Grant payment is made up of £3500 for scrappage, plus a £2500 contribution towards running costs (including insurance) of a replacement electric vehicle(s). To claim any of the TfL grants, the scrapped van or minibus must have been registered to the organisation for more than 12 months before 22 February 2019. It must also be insured for business use, have valid road tax with MoT and be scrapped at an approved Transport for London facility. Small businesses/charities must also be able to prove they are registered at an address in a borough or the City of London. Businesses must have 10 or less employees and be VAT registered or logged as an active company with Companies House. Similarly, charities must be registered as active with the Charity Commission. I'm considering buying a 2016 Renault Trafic S127 Energy dCi panel van (66 Plate) and have checked online with Transport for Londons' ULEZ Checker and it seems to be compliant. The problem is that I understand the van has a Euro5 engine (not Euro6) which has worried me in case I discover long-term that it's not compliant at all. Can you shed light on why this particular model is 'ULEZ friendly" even though it has a Euro5 engine? Do I need to get a new van to comply with Euro6? I am trying to understand the whole discussion about ULEZ and Euro 6. I currently drive an LDV 400 Convoy TD with side windows and three seats. Now I understand that whether I like it or not I must replace my van. I am disabled and need a similar van to continue to enjoy as much independence as I can. I am desperately looking around for a second hand Ford Transit 350 with side windows and three seats. I have considered looking at minibuses and removing all the passenger rear seats. I only drive 3000 miles a year. Should I ditch the purchasing of a diesel van and not worry about a Euro6 and go for a petrol one instead? Based on my annual mileage would a petrol Ford Transit 350 be 'as economical to run' as an equivalent diesel? 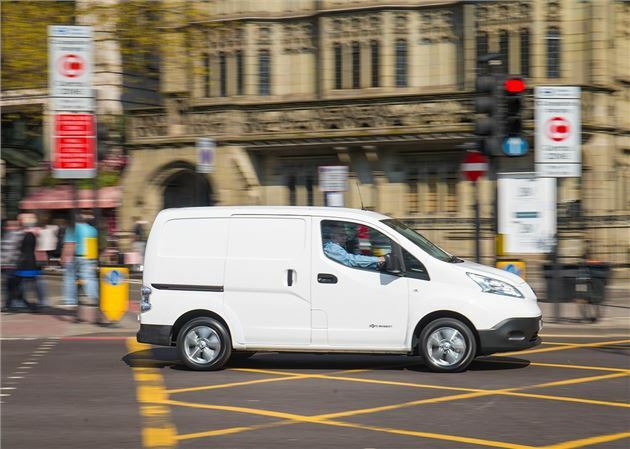 Your next van: Petrol, diesel or electric?